Sign up for a free download of Industry Insider Screenwriting Contest - Roger Avary Finalist Entries now! Download the finalist’s entries from the Industry Insider Screenwriting Contest - Roger Avary now! 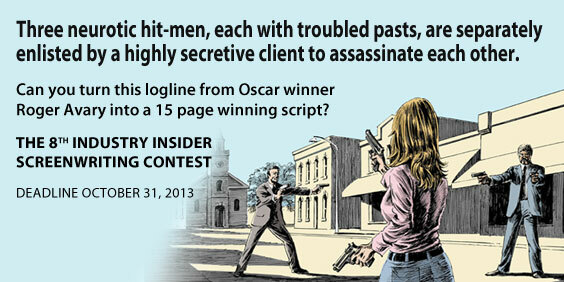 Congratulations to Patrick Rockwell, winner of the Industry Insider Contest with his script, The Recruitment. Think you can turn this logline from Roger Avary, Academy Award winning Screenwriter for Pulp Fiction, and Writer of Silent Hill, Beowulf and Writer/Director of Killing Zoe and Rules of Attraction into a killer script? Three neurotic hit-men, each with troubled pasts, are separately enlisted by a highly secretive client to assassinate each other. First on the agenda? Lunch with screenwriter Roger Avary at Robertson Blvd.’s uber-popular bistro, known for its steady stream of celebs and location near power-agency ICM. The winner will take in some serious knowledge and know-how from Avary, while filling up on the Ivy’s famous nouvelle American cuisine. In partnership with Roger Avary, The Writers Store is donating an honorarium to Project Avary in appreciation of Roger's participation. Founded in 1999 Project Avary was one of the first non-profit organizations in the nation dedicated to improving life outcomes among children with parents in prison. Over 400 Bay Area children have participated in a long-term, continuum of support that includes enrichment, outdoor education, and psycho-social support for children, leadership and life skills training for teens, and valuable support for caregivers. Click here to learn how you can help. 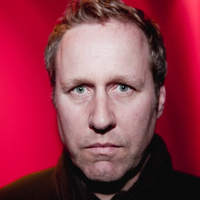 Roger Avary is a Director, Producer, and the Academy Award™ winning Screenwriter of Pulp Fiction, Silent Hill, and Beowulf. His work as Director on Killing Zoe and The Rules of Attraction established his recognition worldwide as an auteur with a unique voice.